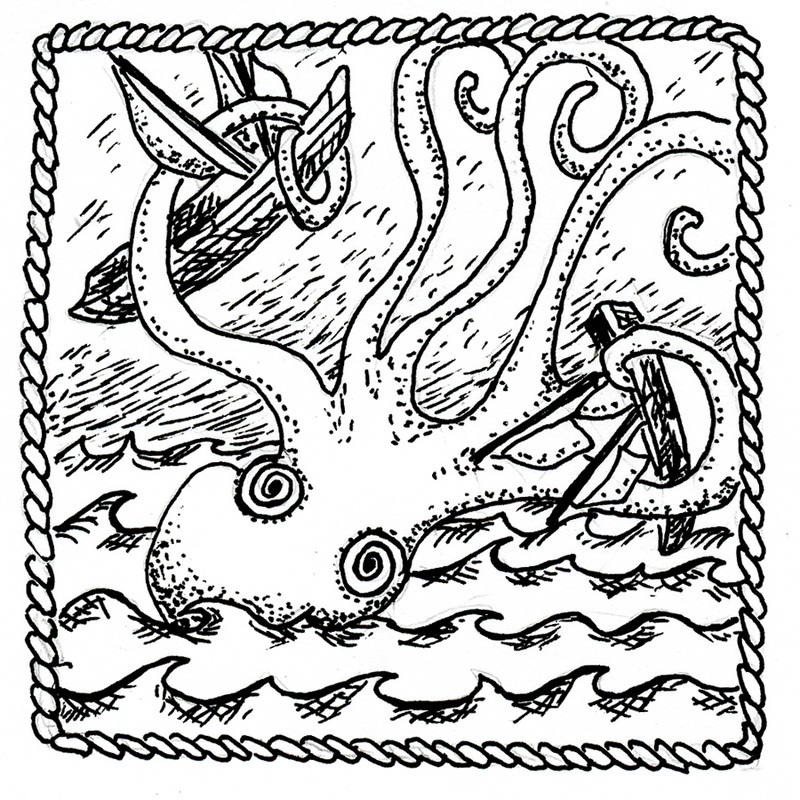 Mythical sea monsters from Norway and Greenland, probably based on sightings of giant squid. Said to have played with their food and made self-portraits (scientists discovered fossils of a prehistoric giant octopus who arranged its prey into a sucker-like pattern and concluded that they were self-aware). The subject of an entertaining novel by China Mieville, Kraken. 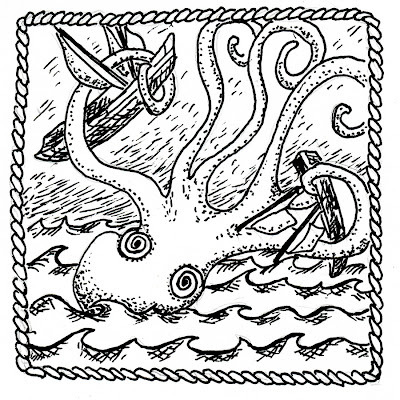 Mieville is known for dark, steampunk, dystopian fantasy/horror novels, but Kraken is a more straightforward fantasy that Mieville has described as a "dark comedy about a squid worshipping cult and the end of the world."